Winter is over. Let me repeat: winter is over! And it’s about time. Spring is finally here in Baltimore after what seemed like the longest winter in recent memory. Snow, snow, and more snow. It got a little redundant. But more than that, the long winter and constant snow probably wreaked havoc on your wood fence. Moisture build up, especially from snow accumulating around the base of your fence, can cause wood rot, mold and mildew. When burdened with excessive snow, tree limbs can snap and damage your beautiful fence. Because of the constant freezing and thawing of winter, soil tends to shift, which can result in loosened fence posts. This is why it is so important to address fence maintenance in spring. Remember the old adage “a stitch in time saves nine?” Well the same principal holds true for your fence. Addressing small issues this spring can prevent them from becoming large issues down the road. First, conduct a visual inspection of the fence, noting any damage that will need to be addressed. Next, clean the fence. 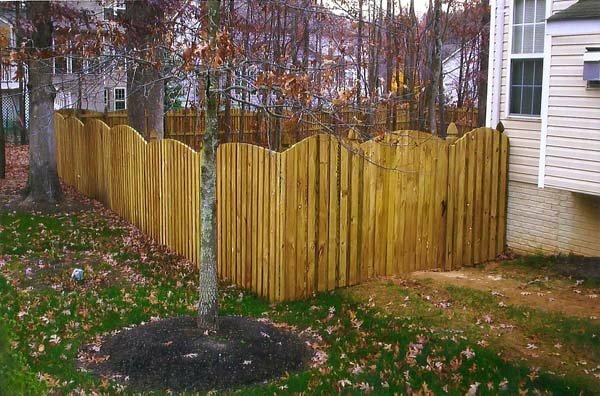 Click Here to learn more about cleaning a wood fence. Strengthen your fence posts. As we already mentioned, the freeze-thaw effect can cause your fence posts to become wobbly, jeopardizing the integrity of your fence. Your posts are the ‘back bone’ of your fence. Now is the time to make any necessary repairs and replace any damaged planks. Addressing larger sections and posts may require professional assistance. Proper fence maintenance will help extend the life of your fence! However, if it is time for a new fence, Freedom Fence and Home can help. Our fencing experts are available to help homeowners and businesses select the right design and materials for any fence project. Please take a moment to browse our gallery of Finished Fence Projects. Click on any image to enlarge. This entry was posted on Friday, April 11th, 2014	at 1:25 pm	. Both comments and pings are currently closed.